Situated in an ideal position on the banks of the River Loire, 5 minutes from Blois in the heart of the Pays des Châteaux, we invite you to come and discover the natural and cultural heritage of the Loire Valley. 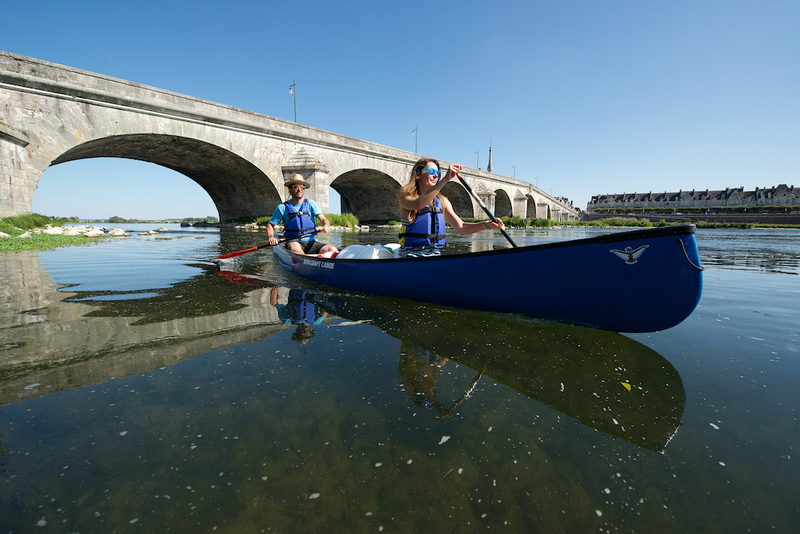 An unmissable leisure activity in the Loire region, canoeing and kayaking is an unforgettable experience accessible to everyone. Thanks to this great group activity you can get to know the rich, protected flora and fauna of Europe’s last untainted river. We propose you 6 trips from 6,5km to 31km (from 1 hour to all day) without time limit and without wait on arrival. You can also rent kayaks or canoes for several days. You can navigate one hour or several days, we give you the equipment which you need! Kayak sit on top from 1 to 3 places, Canadian canoe 2-3 places and Stand Up Paddle.